The Association of the Centre of Beaumotte, created in 1979, is a popular education association, under the law 1901. The principal objective of the association is the promotion of people and of their voluntary participation, through actions which work towards the collective construction of a fairer, more mutually supportive society. Furthermore to promote taking care of each person, in particular the most disadvantaged. – A hosting centre which will assure that various groups are welcomed, including the young and the less young, and will provide activity linked to the environment of the house using collective life as an essential tool. Today, almost 30 people are active in the centre, some of whom live here. -The organisation of work camps for both French and international youths, to work towards the development of voluntary work as a framework for life. 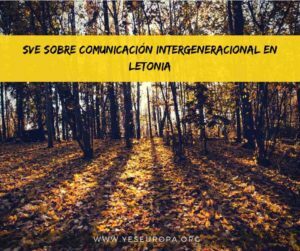 -The hosting of adolescents in difficult situations and their personal development as well as the development of their professional projects. -Hosting long-term international volunteers and the development of international exchanges. -Participation in actions of social and professional insertion, of the type “insertion workshops/work camps” in association with the local communities and collectives. -Overall, every action goes towards the social, economic and cultural revitalisation of the region, by taking charge of the setting of life and the development of the environment. The association of the Centre of Beaumotte maintains the multiplicity of people hosted here and takes care not to be a place to label people but to accentuate the richness of the exchanges and meetings in a rural setting. It relies on the diversity of the persons hosted (age, gender or nationality). 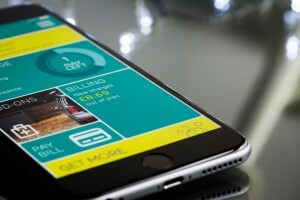 -Takes into account the individual at the heart of collective life and the connected projects. -Carry out practical work of collective utility through the renovation of heritage or environmental sites. -Active participation in the programme and carrying out activities of daily life. All year, the centre hosts people in very difficult situations (young and less young) for whom the intercultural confrontation can constitute a very important mode of socialisation. 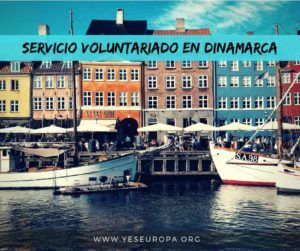 All the projects are led by people who are open to the dynamic of voluntary work and sensitive to the richness of the “international”. In this way all year round we also host young international volunteers who, invested in our projects and accompanied by the permanent members of staff, allow the association to successfully complete the projects. The vocation of the association of the Centre of Beaumotte is hosting people who have fewer opportunities, not taking into account their career, their background or their status. 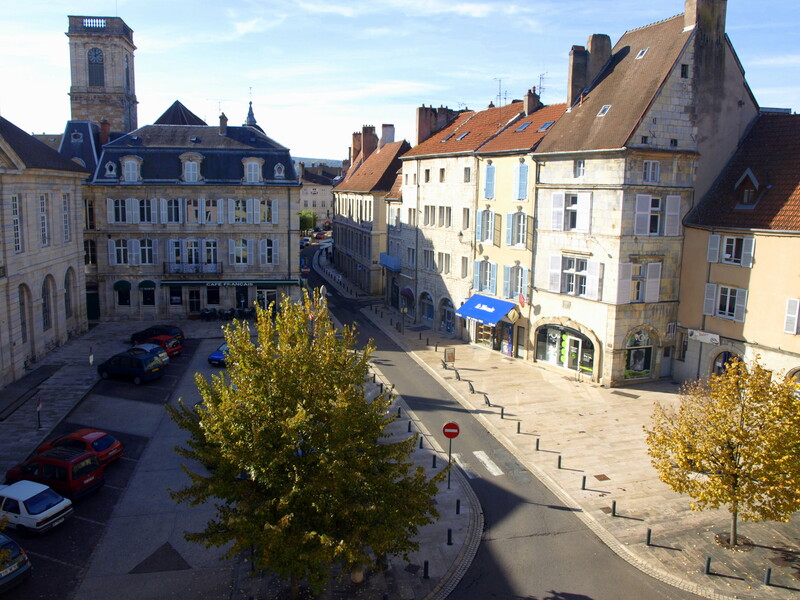 The Centre of Beaumotte is a place of learning, especially personal learning, for all its members. Supporting social insertion is a principal goal of the association. Certain employees of the team have extensive experience working with people with fewer opportunities and some have a strong personal motivation to work in the field of fighting against exclusion. All actions that we undertake require this competence and experience with a view to providing effective and sustainable support in the construction of a course of life. The volunteer will take part in the daily life of the house (construction chantiers, domestic work, kitchen team …) along with all the others. He/She will also have the chance to live and know the insertion construction chantiers, and will be able to perceive the operation; its benefits and its limitations. • Reception and presentation of the project and integration into the group. • Monitoring of expectations during the stay of the volunteer. • Assistance in taking initiative and learning responsibility. • Support for any difficulties. 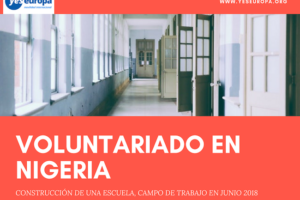 The volunteer will also participate in bi-weekly evaluation meetings with all the members of the association as well as evaluation meetings with the group of volunteers hosted within the structure. We are not yet equipped to receive handicapped volunteers and we do not have the skills to accommodate volunteers with severe mental disabilities. Established in 1979, the association the Centre of Beaumotte is located in Beaumotte-Aubertans in the department of Haute Saône, Franche Comte. In the village of Beaumotte-Aubertans there are nearly 400 residents, the closest amenities (shops, bus stops, supermarket , bank, etc … ) are located 15 km away in the village of Rioz . The closest cities are Besançon at 28 km away and Vesoul at 25 km away. These are also the closest train stations in order to reach Beaumotte Aubertans . The association is in a very, very rural area and therefore the way of life is very close to nature! At the Centre of Beaumotte we welcome people with different paths of life. Young people and older people with fewer opportunities aged between 15 and 60 years are hosted here, they could have problems of any type: health, family, social uneasiness, justice, behaviour or other. Nevertheless these are people who desire a second opportunity, the wish to rediscover a rhythm of life and also to have the support to move towards independence. The association moreover has hosted international volunteers for over thirty years . 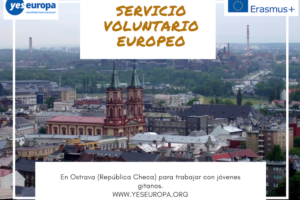 These are international volunteers from all continents who come to the project by their own means and also the Civic Service volunteers that rely on this apparatus to support a project of general interest . During the summer, youth chantier workcamps are organized by the association. Collective life is governed by common rules and the house rules are given to each person upon their arrival. These rules are regularly re-worked with the people hosted here in the interests of the citizenship of the people. Important rules like sharing, respect for schedules, respect for the environment , among others have been established. All this facilitates collective life within the Centre of Beaumotte for all the people invested in this project. Collective life is a strong and vital element of the Centre of Beaumotte in order to carry out its objectives. It is in this framework that the association focuses on the reception of volunteers. It is at this level that volunteers take ownership of the project. Living within an intercultural and intergenerational group shapes a person, builds them, allows them to reassess themselves and become closer to others. Collective life starts in the morning, waking up and sharing household chores, and continues into the evening through teamwork and in the organization of leisure activities. This means that the collective life has no schedule, during both the day and evening people who live on the home share time together, as well as at weekends outings or a simple board game during the evening. Informal moments, at the chantier site, during dinner time, in the kitchen, in conversation and whilst working together are very rich moments of exchange. Volunteers and people hosted in the Centre enrich each other through their differences and similarities. The structure can accommodate a maximum of 25 people on site, and includes a communal kitchen, and numerous bathrooms and toilets are available. Common areas are open to all those who live on site. The bedrooms are shared between two or three people for all long term volunteers . We nevertheless have a bedroom with a mezzanine (semi-individual) that we reserve for the reception of EVS volunteer . Throughout their placement the volunteer has the opportunity to discover a simple form of life in rural settings. 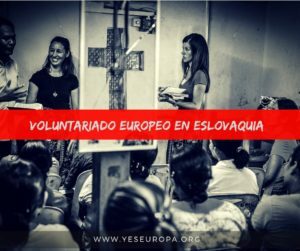 Meeting other international volunteers, or people who are victims of exclusion as well as with the local population will enrich their experience in this the project. The experience of our structure remains in the field of social and personal learning, where volunteers can develop social aptitudes and technical skills at the same time; where young people can bring their cravings to experiment and share with others; where the inhabitants of the centre support themselves in practising their citizenship skills by building a framework of rules for respect, and during the moments of evaluation and collective organization. The association runs construction sites which combine the integration of disadvantaged groups with projects for local development. – Maintenance and restoration of small, unprotected sites of rural heritage. – Work in the upkeep of green spaces (care of animals, maintenance of the forest). The first takes place in the surrounding communities throughout the year. The chantier includes the maintenance of the house with a combination of painting, woodwork, carpentery or other. This project is specifically for the winter month . The association also has with a vegetable garden which is maintained throughout the year by long term volunteers accompanied by other volunteers or employees of the Centre. During chantier the volunteer participates simultaneously with people in the process of social insertion who are hosted by the centre. This is a time when the technical training (construction, gardening, etc.) as well as the linguistic learning (vocabulary, different subjects, etc.) is highly valued throughout the day . By participating in this action the volunteer acquires technical and social skills to work well within in a team, for example. Taking responsibility as and when their career advances allows the volunteer to improve themseves, and to orientate themselves towards their future, re-assess their desires and/or confirm them. In any case to experiment and take risks in a secure environment. The association of the Centre of Beaumotte participates in an effective manner in the development of local activities in the rural Haote-Saône area. Several associative times are scheduled throughout the year within the association (open days, a music festival, participation in Solidarité Jeunesses gatherings, training etc.) in which the volunteer has the opportunity to be part of the organization and the proceedings of each event. Cultural events at a regional level are also planned (week of international solidarity in the Franche-Comté region, the annual day of volunteering… ) where the volunteer will become the main actor. The Centre organises between 5 and 10 international projects – chantiers – each summer. These are projects carried out within the communities through the renovation of sites of cultural heritage, with the participation of 15 youths, both French and international. All long term volunteers at the Centre of Beaumotte have the opportunity to participate in training implemented by Solidarités Jeunesses in which they acquire knowledge of group management, budget management, planning and organization of collective life, among others. All this to become a leader during these summer projects and to put into practice all their acquired knowledge. Voluntary work at the Centre of Beaumotte is considered an act of mutual exchange between a person or group that offers their time, their work and their energy for the benefit of a project of collective interest; It is a hosting community that offers its volunteers a place for learning, experimentation and personal and collective construction. The volunteers at the Centre work together with the team of full-time staff who stand behind the project throughout the year. They are an essential support for the functioning of the association. • Being in charge of the vegetable garden and chicken coop. • The development of activities with the local population. We believe that so rich a project calls for the need to detach ourselves, to have a break from time to time, in order to better invest ourselves day by day. Taking time for yourself is also necessary so that everyone can find their own place within the organisation. The association does not require a specific framework for taking holiday leave, the needs of everyone are different and it is enough to plan leave individually with the supervisor. EVS volunteers arriving at the Centre of Beaumotte are directed here by Solidarités Jeunesses. The association does not require special skills from volunteers who want to get involved in long term volunteering projects, and therefore there is no set profile for the volunteer. 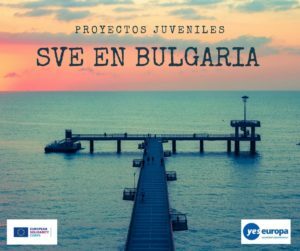 To facilitate access to European Voluntary Service for all young people , Solidarités Jeunesses recruits young people based on their personal motivation, not their knowledge, or level of skill or education. 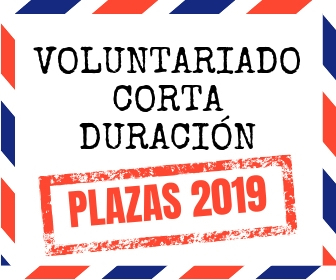 We expect that the volunteer has a good understanding of the overall project, and that they wanted to be part of group dynamics and collective life. We consider volunteering as an act of exchange between the volunteer who offers their time, work and energy for the benefit of a community project, and the hosting community that offers the volunteer a place for learning, experimentation and personal construction. Given these principles, the most important element for the association is the volunteer’s motivation, willingness to invest themselves and to share with others. What matters to us is that the volunteer is motivated, open- minded and willing to make concessions in order to work as a team and live with people very different from themselves. Communication skills (learning the language, but also non-verbal communication) are an important asset in order to make good contacts around them. The language shouldn’t be a problem if the person is determined to learn the language of the country they are staying in. The volunteer must also take into account the geographical context: The project is located in an isolated rural location . Volunteers who wish to invest themselves in the Centre of Beaumotte must present an interest in social and cultural actions and enjoy life in nature, in a place secluded from leisure activities and attractions offered by major urban areas. In addition, volunteers must demonstrate a certain sense of initiative and personal openness to make the most of life in a rural setting.